Herbal medicine refers to using a plant’s seeds, berries, roots, leaves, bark, or flowers for medicinal purposes. Herbalism has a long tradition of use and is becoming more mainstream as improvements in analysis and quality control along with advances in clinical research show the value of herbal medicine in the treating and preventing of disease. Recently, the World Health Organization estimated that 80% of people worldwide rely on herbal medicines for some part of their primary health care. In the last 20 years, public dissatisfaction with the cost of prescription medications, combined with an interest in returning to natural or organic remedies, has led to an increase in herbal medicine use. Many patients ask us: How do I take my herbal medication? To maximize absorption and minimize digestive discomfort, take your herbal medicine at the same time each day. If you forget to take your herbal medicine at the recommended time, it is better to take the medication at an alternate time than to not take the medication at all. Maximum benefits usually result when patients take their herbal medication between meals. 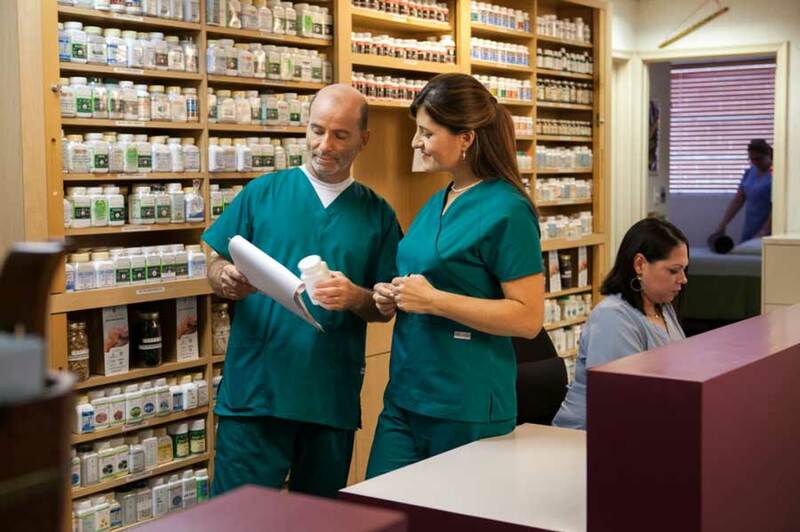 Our herbal pharmacy is one of the largest and most comprehensive in South Florida. Formulas are custom built to meet the individual needs of each patient. Contact us to schedule your appointment and experience the health benefits of Herbal Medicine today!